Want to know what happened during the February 2016 Northern Kentucky Real Estate Market sales period? You have come to the right place. Read on to get the latest statistics and information in the February 2016 Northern Kentucky Real Estate Report. Home inventory is still low around the Greater Cincinnati and Northern Kentucky area which means buyers are having a harder time finding a home that they like this also causes those thinking of selling their home to sit on the sidelines for fear of not finding a home if they sell. In February there were 106 homes that sold during the month for Boone County, 74 for Campbell County and 172 homes that sold for Kenton County. Homes that went pending in February were 120 for Boone, 56 for Campbell County and 113 for Kenton. The average listing price for homes in the Boone County area was $251,739.00 with an average selling price of $182,409.00. Boone County homes during the February time frame were on the market (Days on Market) for an average of 95 days. There are currently 539 homes available for sale in Boone County. The average listing price for homes in the Campbell County area was $246,278.00 with an average selling price of $159,871.00. Campbell County homes during the February time frame were on the market (Days on Market) for an average of 123 days. There are currently 354 homes available for sale in Campbell County. Want to know what happened during the February 2016 Cincinnati Real Estate Market and Northern Kentucky Real Estate Market sales period? You have come to the right place. Read on to get the latest statistics and information in the February 2016 Greater Cincinnati Real Estate Report. With low home inventories in February expect properly priced homes to move quickly. In February there were 658 homes that sold during the month for Hamilton County and 164 homes that sold in Clermont County. Homes that went pending in February were 591 for Hamilton and 166 for Clermont County. Pending status means they had an offer accepted and were awaiting closing pending inspections, appraisals, financing etc. The average listing price for homes in the Hamilton County area was $266,650.00 with an average selling price of $161,409.00. Hamilton County homes during the February time frame were on the market (Days on Market) for an average of 92 days. There are currently 2,745 homes available for sale in Hamilton County. The average listing price for homes in the Clermont County area was $231,205.00 with an average selling price of $171,386.00. Clermont County homes during the February time frame were on the market (Days on Market) for an average of 84 days. 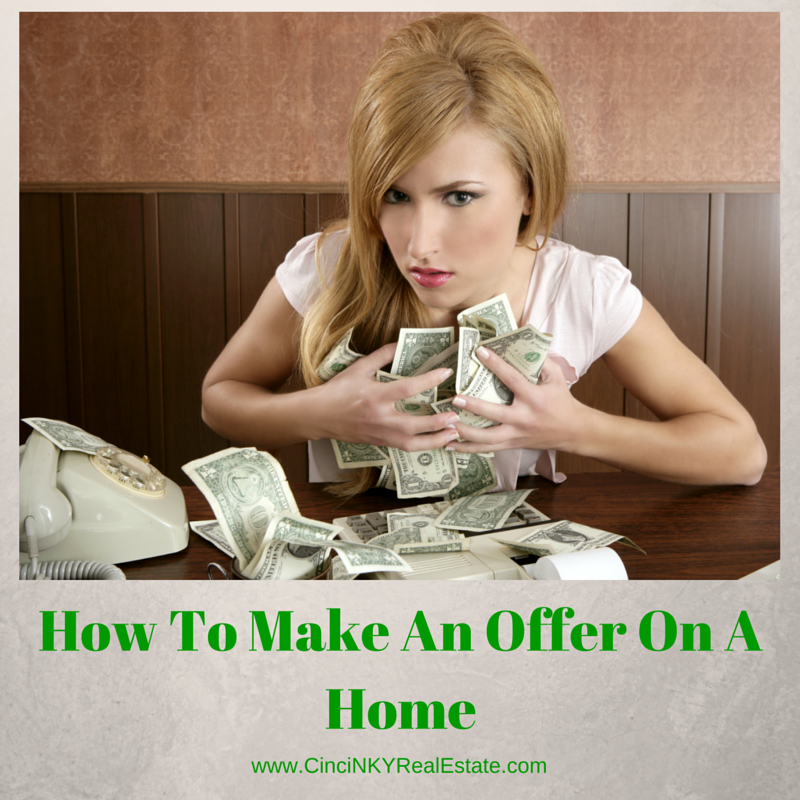 Putting in an offer on a home is a little different that your typical buy and sell product transaction. When buying a home there are many laws and other considerations at play that prevent one from simply going up to the owner of a home and saying you will buy their house for X amount of dollars. Put in an offer on a home correctly with a full understanding of all that is involved in purchasing the home and you should have a low stress experience. 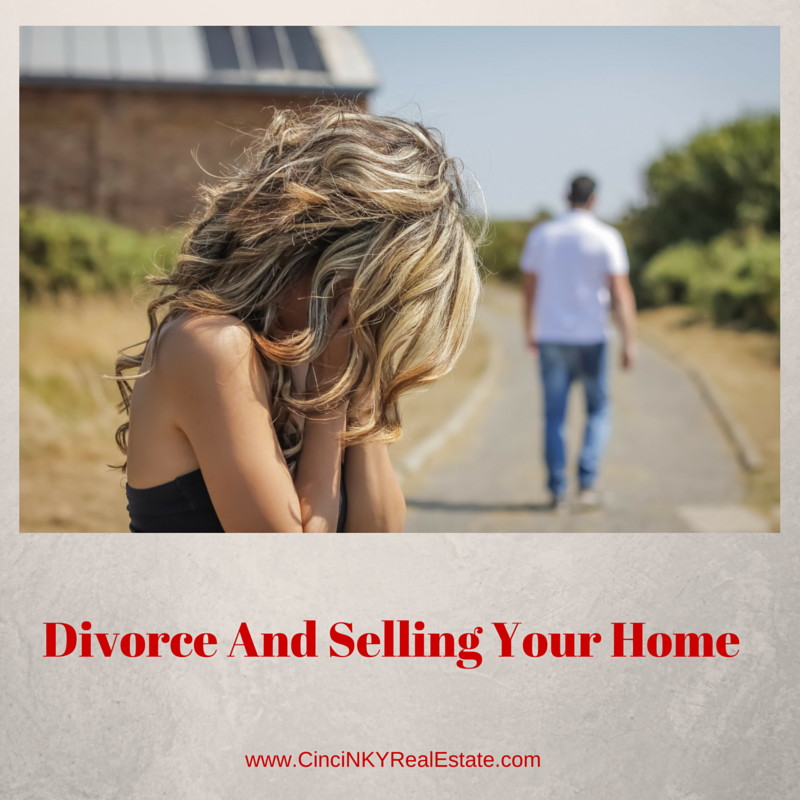 If on the other hand you put in an offer with haste and without a proper understanding of all that needs to take place you will find yourself in a high stress situation, you may lose your earnest money, and even worse could face the possibility of a lawsuit. The basics of any offer to purchase a home require that the offer and everything in it must be in writing. The amount of the offer, the home to be purchased along with any personal property not considered a fixture and any other conditions of the sale must all be included in the contract to purchase document. Other conditions of the sale could include the home purchase being conditioned on the home passing a home inspection, the home appraisal being in excess of the amount of the mortgage loan, and the buyer being able to obtain favorable financing terms to buy the home. 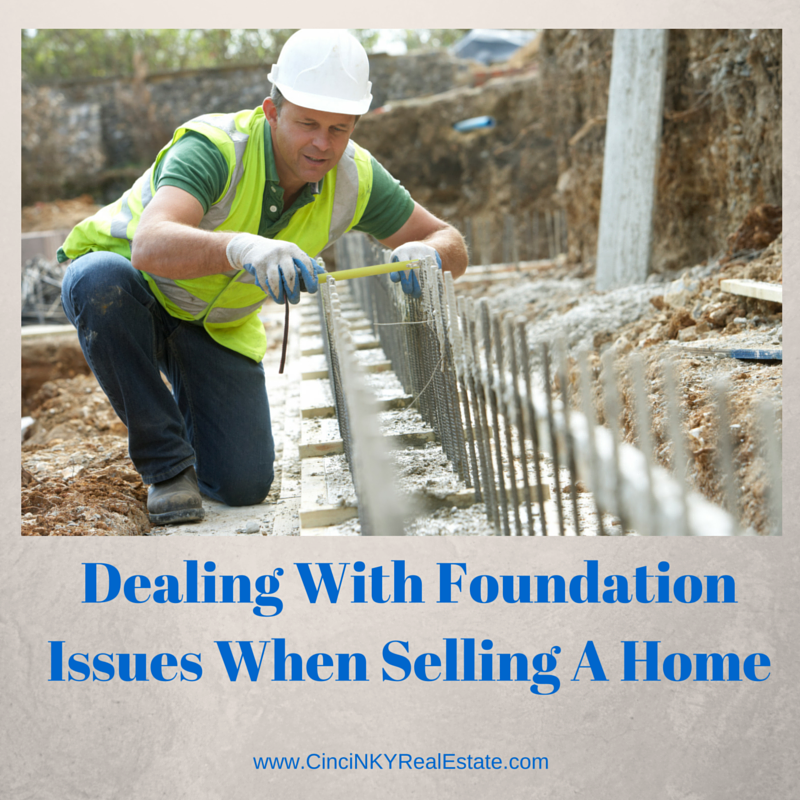 The foundation is a critical component of any home as it is the main source of support for everything put on top of it. Whether the home is wood or steel frame if the foundation is at risk of collapsing most local housing authorities will require immediate repair or will condemn a home as unfit for living in. Depending on the current condition of the foundation it can be very easy to put into place measures that will prevent further degradation or that will reverse the damage and make the foundation even stronger than before. If you do have foundation issues it is always better to have the foundation diagnosed and repaired earlier rather than later as if you wait too long and one side of your foundation comes down everything that is above that will be damaged as a result which will require much more money to repair. If you have never bought or sold a home before or haven’t bought one in a while you may not be aware of all the steps that go into the home buying or selling process. The process does not just start the instant you decide to sell or buy a home but instead starts out well before and requires plenty of planning and coordination with a number of different professionals. 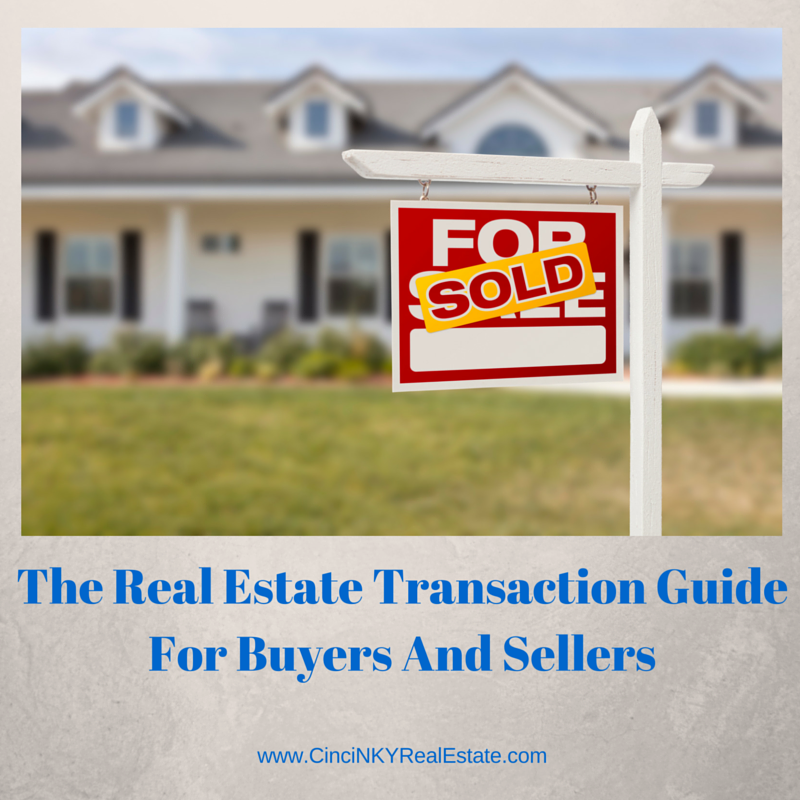 This guide to buying or selling a home will take you through the steps a seller and buyer must go through in order to buy or sell a home. When getting ready to buy a home the process should not start with getting online and searching for homes that look nice or searching for a hot neighborhood to buy in. Instead the first step should be contacting a couple of different mortgage lenders and exploring your financial options for buying a home. Borrowing to buy a home is a long (15-30 year) term commitment and over spending on fees or the interest rate you pay means you will be paying more money than you have too. That money can be better spent on saving for retirement, paying for your children’s college, or on up keep of the home. There is no need to spend extra money when you don’t have to. So interview a number of different mortgage lenders and find out what they are offering and what are the costs associated with their mortgage options.